Born as Karenjit Kaur Vohra, she chose to be known to the world as Sunny Leone. She is well known as an A-list pornographic actor. Though of an Indian origin, she was born and brought up in Sarnia in Canada. She belongs to a Sikh family. Leone completed her education from a Catholic school as it was not considered safe for her to attend the public school. She has always been a spark plug among her peers. Leone had her first kiss at the age of 11. She had lost her virginity at the age of 16 to a basketball player of another school. She discovered that she was a bisexual at the age of 18 but has mentioned that she prefers men. She is married to Daniel Webber since 2011. She loves to read, watch The Simpsons, the Discovery Channel, ride horses and also enjoys abstract painting in her spare time. Her favorite holiday destination is Hawaii. She used to play for the women’s soccer team in California. She entered the world of Bollywood with her debut blockbuster, Jism-2. The success of Jism-2 was not the end for Sunny. She has 3 more upcoming Hindi movies. She has also acted in English and Tamil movies. This beautiful woman is talented, headstrong, brave and ambitious. 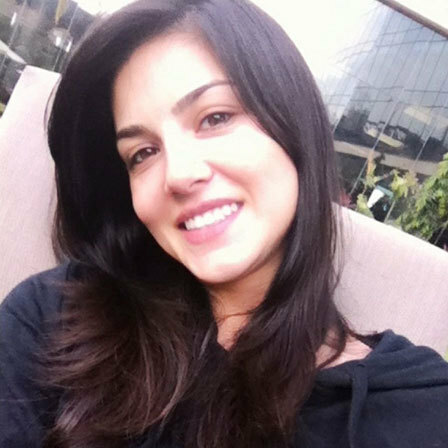 Check out some of the sensual pictures of Sunny Leone without makeup or with minimal makeup on. This picture was taken during the shoot of Jism 2 with Mr. Bhatt. Here she appears so happy and jovial. Her beautiful smile augments this picture even though she is wearing a bath robe and no makeup! This actor of Indian origin knows how to make thousands of hearts throb with a desi look. Here, she looks very simple and is seen wearing just a hint of makeup with kohl and gloss. This picture was taken before she started shooting for Jism 2. Here, she seems to have the look of an innocent, sweet next-door girl. This is yet another picture of the beautiful diva without any makeup and she looks so young, bubbly and pretty! Though this pretty diva loves Italian cuisine, she does not mind trying out other cuisines, not to mention her love for junk food. She is seen here with minimal makeup, yet looking exuberant. 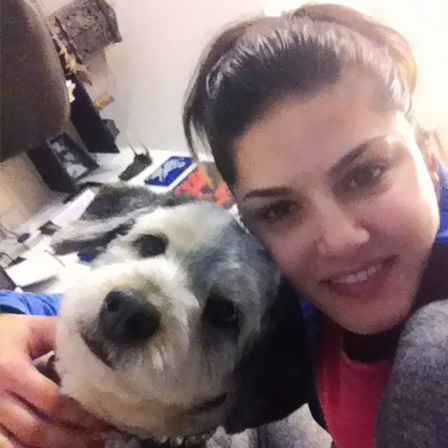 This is a picture of Sunny Leone with her pet. Though she has no makeup on, she still looks so adorable. Here, she looks really simple and cute. She looks like she could take a tour of the entire city and still look very pretty. She has no makeup on, yet looks so beautiful. The paparazzi always find a way to get pictures of celebrities when they are not shooting. Here, Sunny is caught on camera, sitting inside her car. She has minimal makeup on but still wears her pleasant smile. With minimal makeup on, she still manages to look so beautiful and simple. Simplicity does have a way of speaking its language. Clad in an ethnic Indian dress, Sunny Leone surely looks beautiful and stunning in this image! Which of her looks did you like the most? Do leave us a comment below. Next articleHow To Wear A Gel Eyeliner?